Does your aging cat seem forgetful sometimes? Like people, cats can suffer from Alzheimer's Disease. 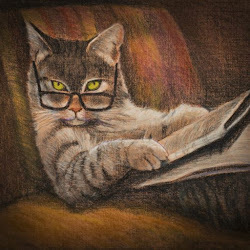 But Purina hopes to improve elderly cats' cognitive function by adding BPB, a unique formulation of fish oil, B vitamins, antioxidants and the essential amino acid, arginine, to some of its cat food brands. Alzheimer's Disease in cats can be sad and frustrating for both the cat and the people who love her. She can forget even the basics of every day life, like where her litter box and food bowls are. Purina believes BPB can improve the ability to think and remember in cats from five-eight years old, promoting long-term brain health. 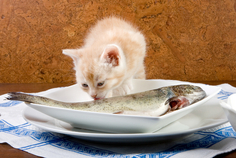 It will be added to select Purina cat food products within the next 12-18 months. 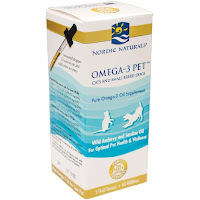 In the meantime, you could try giving your cat fish oil and an antioxidant for cats. They won't hurt, and they just might ward off declining cognitive function as your cat ages. Fish Oil can help your aging cat.